Canada, we have a problem. It’s a problem that has been insinuated into our mainstream media for decades using Neuro-Linguistic Programming tactics, and it is just now becoming so egregious there is a real need to expose it for what it is. How many times have you encountered people who seem to be “brainwashed” in their blind obedience to the status quo? They are so apathetic that no matter how many facts they’re presented with, and despite their inability to justify their existing beliefs, will scoff at the information you’re presenting and dismiss it with a label. The National Citizens Alliance Party of Canada (NCA), is carving out new ground on the Canadian political scene by openly exposing media manipulation and the roots of the dysfunction that is presently gripping our country on a variety of fronts. Diversity is not a strength: unity is. Globalism is not good for our economy: self-sufficiency is. The United Nations has never demonstrated its ability to adequately run a small town: why would anyone believe that it’s capable of running the world? Political think-tanks have repeatedly come to the conclusion that the net impact of mass immigration is vote buying. Why do the promoters of the notion that Canada has an ageing population in need of replenishment ignore the same issues in any other part of the world? Moreover, with at least 1,000 Canadians being treated in hospital hallways on a daily basis, why did Canada’s Immigration Minister just approve 27,000 ageing relatives of Canadian immigrants for fast-track entry into Canada? Canadians need to realize that the entire political spectrum in our country from municipalities on up are signed onto UN Agenda 2030 that Stephen Harper signed Canada onto in 2015. It came on the heels of UN Agenda 21 that Brian Mulroney signed Canada onto in 1992. We need to recognize that Canada has been run by a corrupt 2-party system and extended controlled opposition that has been in place for over 150 years. The sheer number of Globalist conferences taking place in the world are a huge red flag to anyone who is paying attention: G7, G20, World Government Summit, World Economic Forum, the United Nations Parliamentary Assembly, all gathering places for the financial elites to solidify their plans to impose a Globalist World Order that includes Canada. We should be rightfully suspicious of various Globalist “free trade” agreements like the Trans-Pacific Partnership and the new NAFTA pact. Canada’s energy sector has been deliberately sabotaged through foreign bribery schemes and government collusion: one of the key points of UN Agenda 2030 is to cut off our ability to use gasoline for fuel, or coal as a fuel for the production of electricity. A major hydroelectric project in B.C. has been stalled despite past approval on the grounds that the United Nations decreed that it should not be developed on the basis that it’s an affront to the indigenous people in that Province. Similarly, the present Premier of British Columbia is in the process of passing legislation that would give indigenous groups veto power over any future energy development initiatives in concordance with a UN Agenda 2030 item respecting indigenous rights. While NCA believes that a new deal needs to be negotiated with our First Nations groups, the current agenda is not one that will benefit the majority of Canadians, which is our first priority. One of NCA’s strongest points is that ALL of our goals must be to benefit the majority of Canadians, and to put Canada and CANADIANS FIRST. Our goals include the withdrawal of financial and legal support of all UN Agendas, including any notion of a carbon tax, the restoration of the 1934 Bank of Canada Act, cutting significantly federal government bureaucracy, a complete review and increase in the Canada Pension Plan, a flat income tax rate, the ability to recall politicians, including the Prime Minister for failing to serve Canadian interests, and a reduction in immigration in total annual numbers to 50,000 or less after an initial moratorium. National Citizens Alliance stands in firm uncontrolled opposition to any agenda that tries to override Canada’s sovereignty, and we will squash any agenda to replace Canada’s traditional population with third world migrants and immigrants. 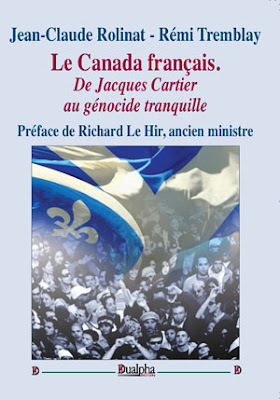 NCA is in complete support of Dr. Duchesne’s work on the cultural history of Canada and the conclusions that he has reached in response to the erroneous ideology that’s been foisted on Canadians for decades that we are a “country of immigrants”. We do not believe that the majority of Canadians are in agreement with that belief, but are having difficulty advancing their views due to the egregious manipulation of the mainstream media. Huge financial rewards have been handed out to any organization that masquerades under the banner of being “anti-racist”. 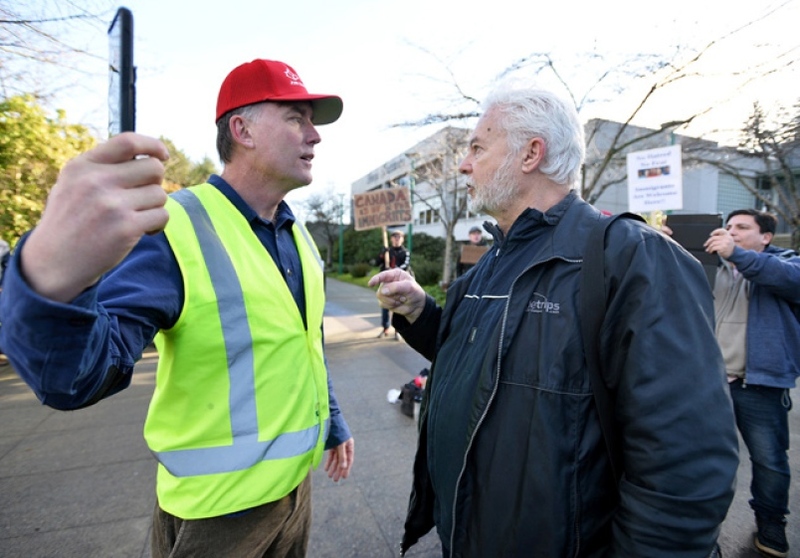 Quite recently NCA leader, Stephen Garvey was confronted by one Allan Dutton in Burnaby South who has received funding from provincial and federal coffers to the tune of $100,000 a year to “fight” an imaginary spectre of racism where none has been proven to exist. In fact, the reality is quite the opposite: it is Canada’s traditional inhabitants who are under attack in a Globalist scheme to destroy our national identity. One of NCA’s ongoing platforms is to expose the corruption and manipulation of Canada’s present system and to expose their true intentions. NCA wishes all Canadians True Patriot Love.